Tiina Lilja recently graduated in Drawing and Painting at Edinburgh College of Art. Earlier this year, we acquired two of Tiina’s paintings for the University Art Collection as she was an artist we had been following with interest for some time. As well as the physical art works, Tiina has been providing us with unique insights into her career after graduation so that we get a sense of her working life post-Art School. 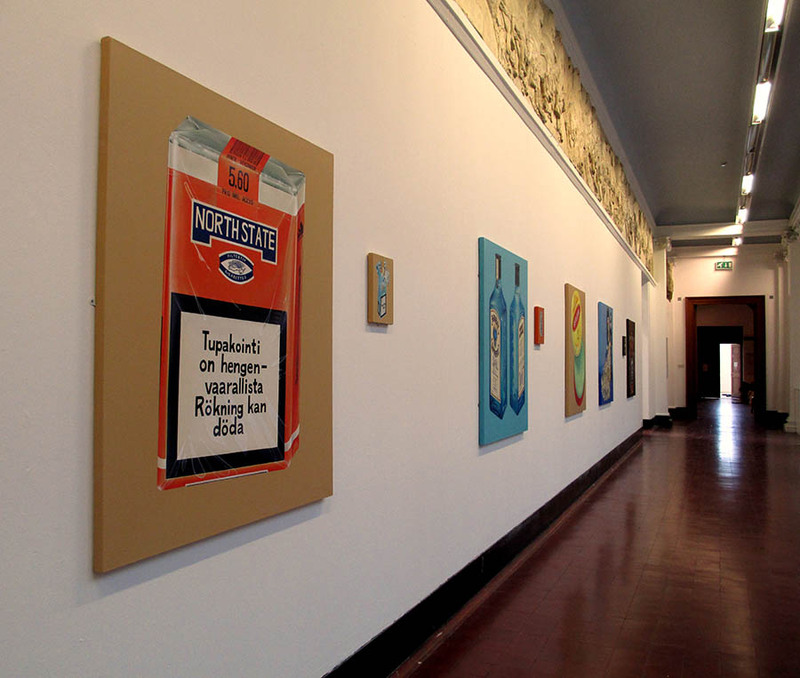 In the second of these updates, Tiina writes about the opening night of the ECA Degree Show and where she’s at now with her work. 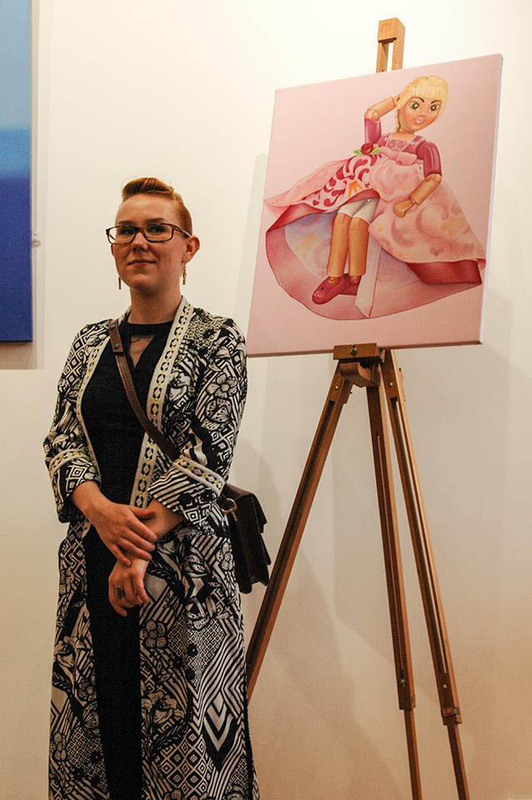 On the evening of the 22nd of May, I was standing alongside my paintings, all dressed up, preparing for the biggest night of my life as an art student: the Opening Night of the Edinburgh College of Art Degree Show. I was suddenly incredibly aware how this was the day the work I had cradled in the safety of my studio would be exposed to an audience of strangers. I was not nervous… a little late for that. As it normally goes at times of extreme adrenaline levels, I was more focused on finer details i.e. did I order enough business cards and why was I not dressed in more comfortable footwear. My feet were killing me. The night rushed by: a lot of handshakes, introductions, congratulations and (shrug) selfies. The day concluded in the award ceremony of the annual Astaire Prize, me accepting one of the runner up prizes. (The nibbles were Waitrose by the way.) In fact, most of my fellow artists either sold some work, few for the first time, received awards or were invited into collectives or to show work in exhibitions. Yes, I do think we were a strong year – but in a major show like the Degree Show where all departments are represented, there is something for every taste. So remember to check it out next year! 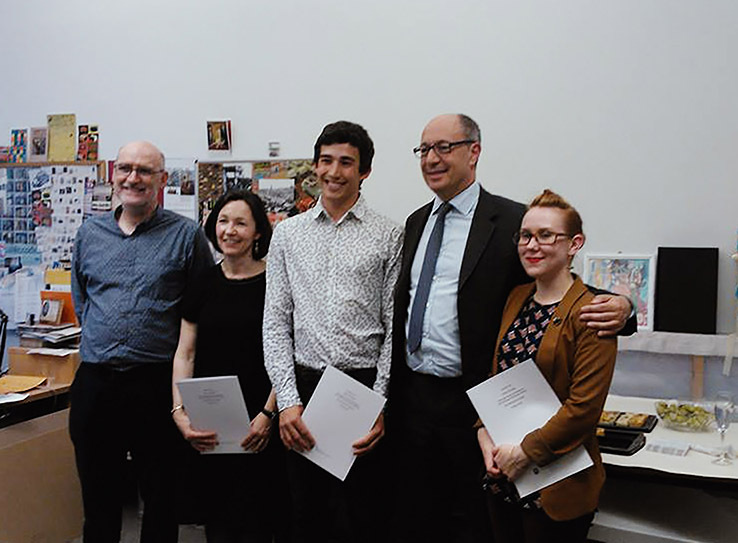 Award ceremony of the Astaire Prize: (From right to left) Me (runner up), Mark Astaire, Theo Shields (runner up), Magi Sinclair (first prize) and Gordon Brennan. Couple months on, I think the experience was vastly educational. The reviews of the show were mostly encouraging, I made my mother proud by being mentioned by name in a couple of them – or the misspelled version of my name anyway, and so was the feedback. I met a lot of people that wanted to share their thoughts on my work and many more that did not. 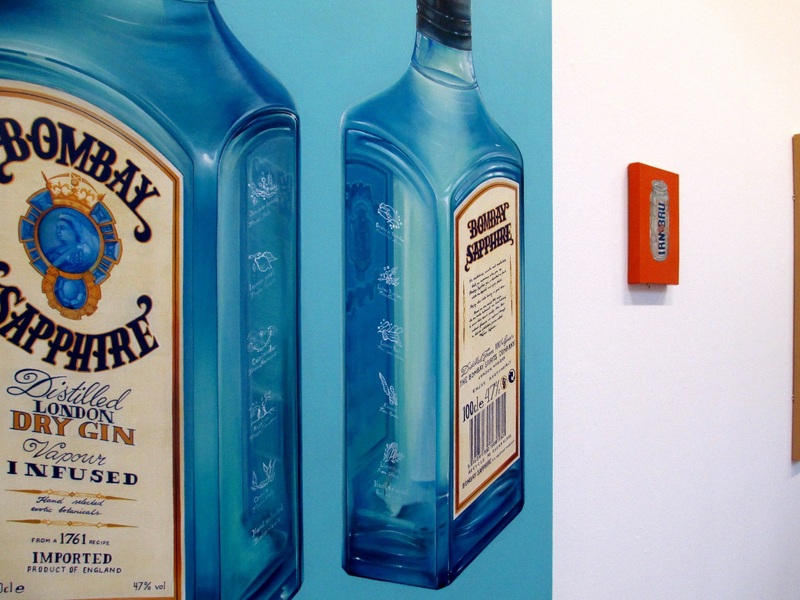 The average time a viewer spends in front of a piece seems to be less than you would take to choose between bottled and tap water! From the number of people who took my card, roughly every fiftieth got in touch – some thinking about buying or exhibiting my paintings, a few just to ask about my process of painting or the inspiration behind the pieces. After the show was finished my work got some additional exposure by being kept up for the ECA open day, one last perk of having hung it in the Sculpture Court! 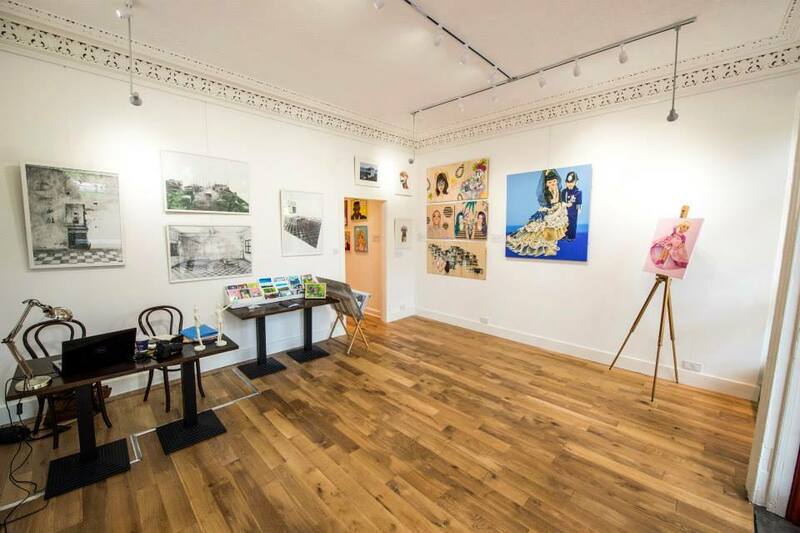 Friday the 13th of June marked the opening of the first exhibition I was in as a graduated professional artist, La Gallerie 1940’s Summer Exhibition and I also got to exhibit my Bombay Sapphire in Glasgow, at the Six Foot Gallery for their Best of The Degree Shows-exhibition. All these events are what makes the life of an artist seem so very glamorous – the tricky bit is to remember that this is only a small fraction of the job. 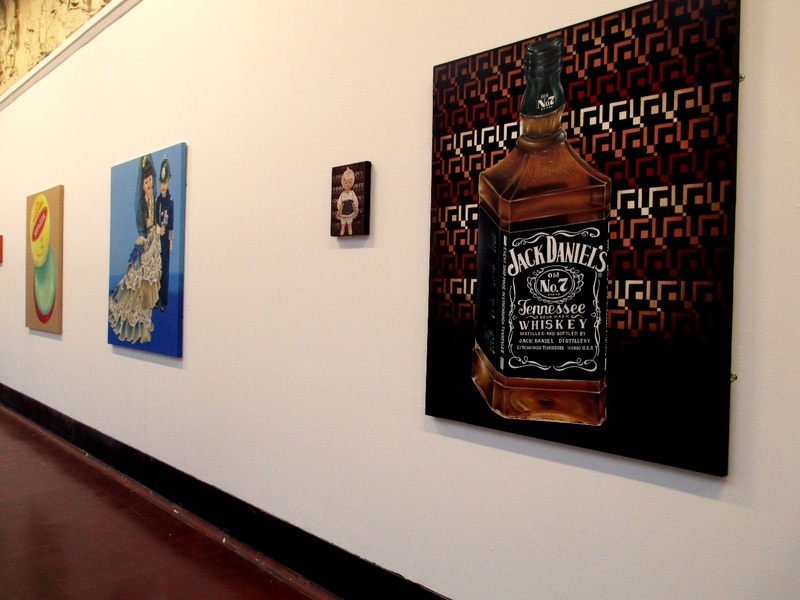 It was surprising to notice how many galleries are willing to exhibit the work of an emerging artist like myself. There appears to be a genuine interest from the public to see new art and fresh perspectives. But a word of caution: contemporary art world can be like the Project Runway: one day you’re in and the next day you’re out. The competition is fierce, the art market callous and the rights of an artist today leave a lot of room for improvement. Yet there is a whole community of creative people that are in it for the art: the passionate gallerists, curators, volunteers, producers… and the artists of course. That is what convinces me to keep painting. Blisters in the soles of your feet will heal and the feedback you get, how you analyse it, keeps you improving. And what’s next? – I am settling into my new studio in the North of France, but that is a different story altogether.